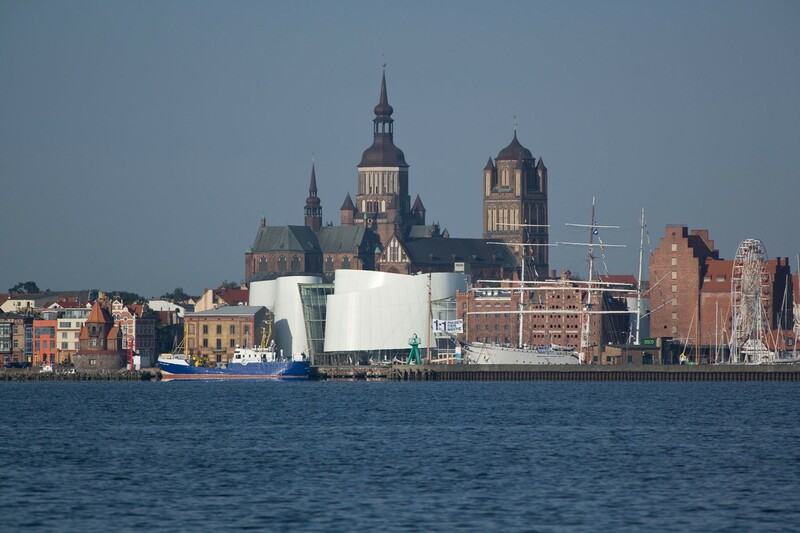 The new Oceanographic Museum OZEANEUM is located on the city’s historic waterfront immediately adjacent to the historic centre which has been classified as a UNESCO World Heritage Site. 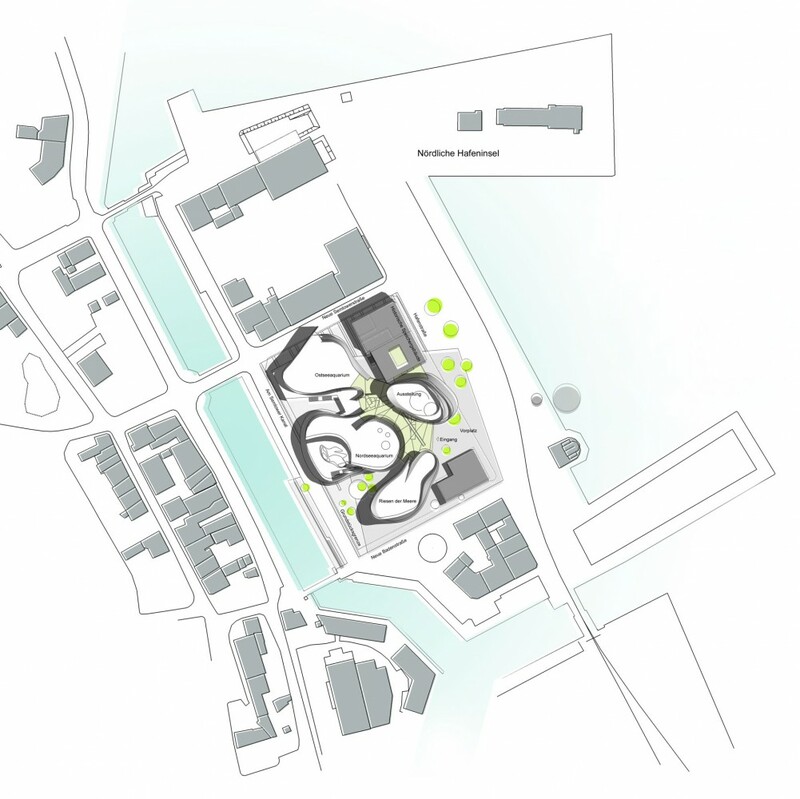 With a striking skyline of restored warehouses and visible traces of its former use, the entire port island district remains to this day an autonomous, distinctive architectural monument on the outskirts of the historic city centre. 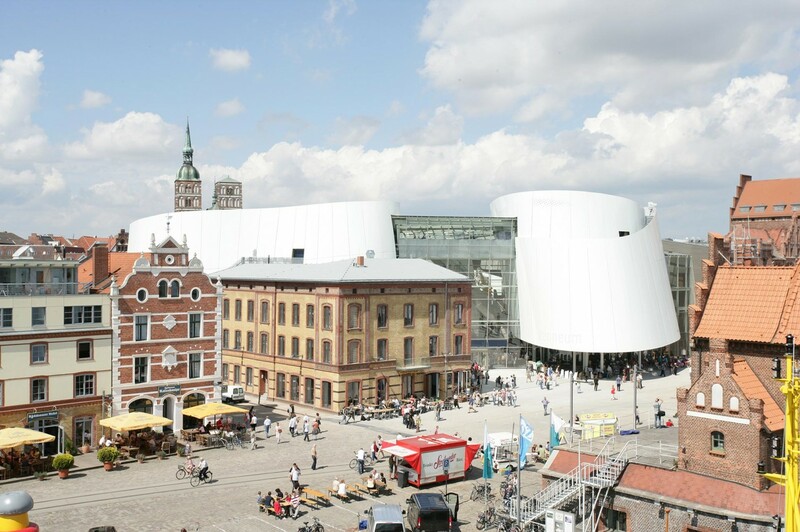 The OZEANEUM building relates to the sea, rather than to the buildings of the old town. 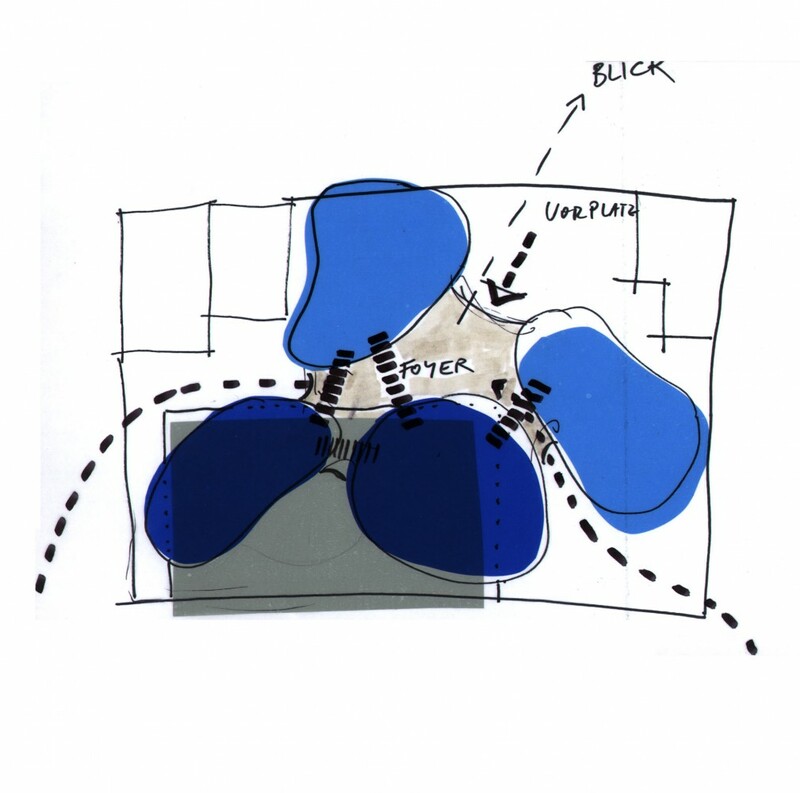 It is conceived as an open house that can be ‚flooded’ from all sides by daylight and visitors, in a manner akin to that of water swirling around stones on the seabed. 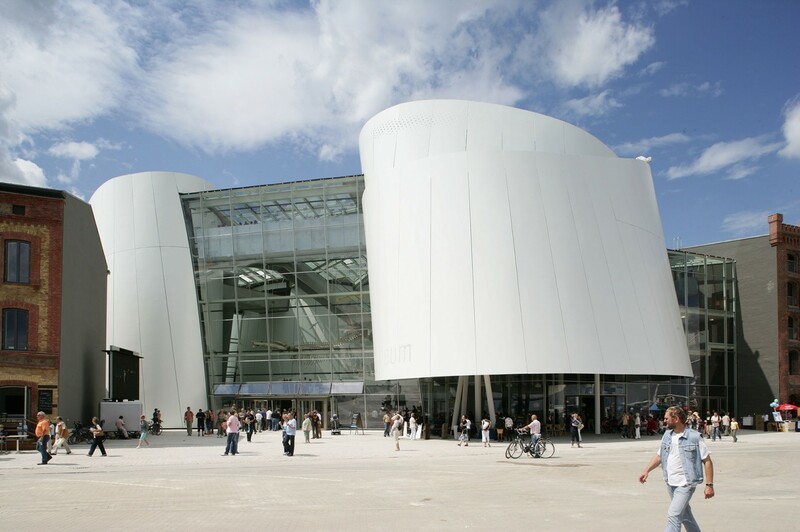 The building is divided into four individual sections, each of which is devoted to a particular exhibition theme. 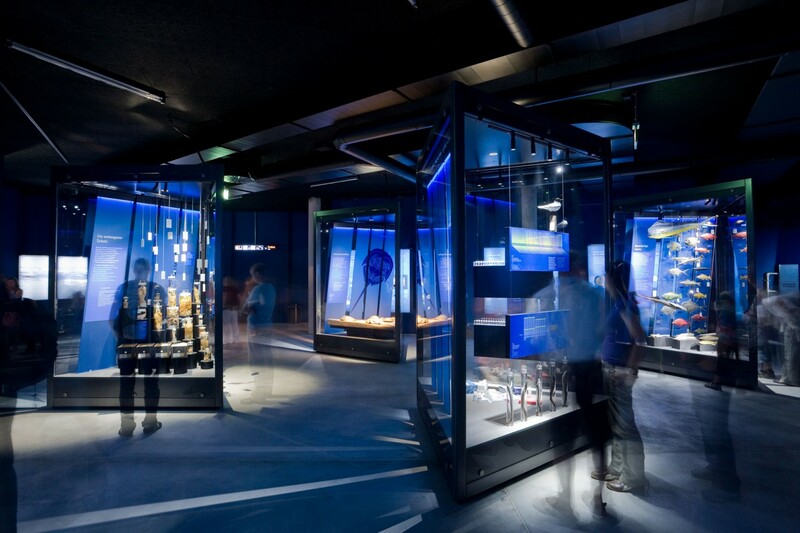 The layout of the museum allows visitors to take a spectacular journey of discovery, through and between the ‚stones’. Each ‚stone’ or building element covers a specific exhibition topic. 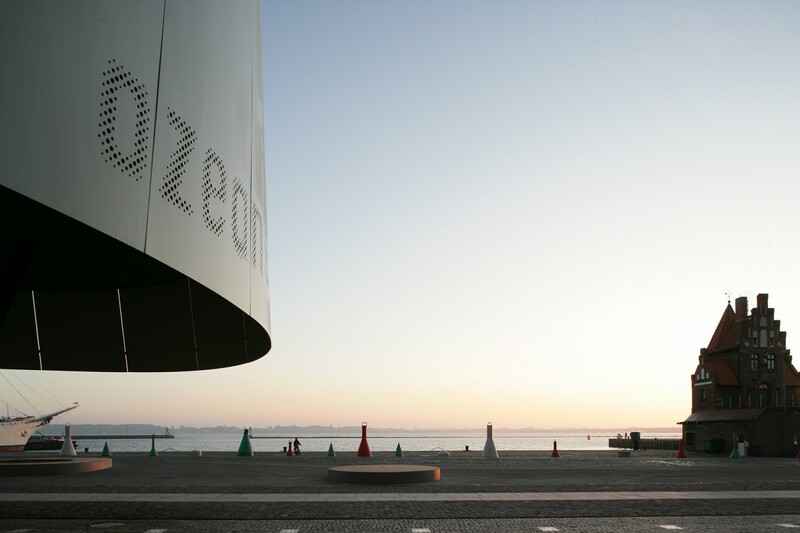 The main entrance to the OZEANEUM lies on the new harbour promenade. The ground floor of the foyer, an independent entity, suspended amidst the seemingly hermetic exhibition areas, accommodates a shop and a café as well as the museum’s front-of-house services. 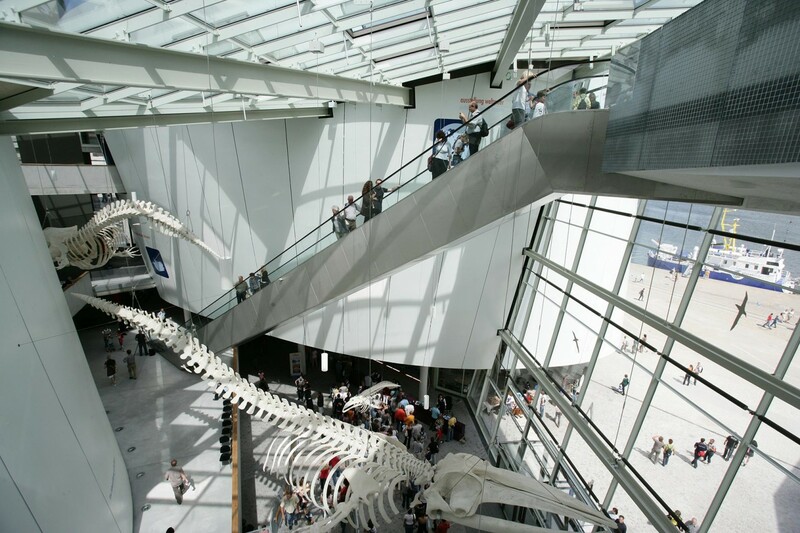 A 30 m suspended escalator diagonally traverses the entire breadth of the foyer, past genuine whale skeletons, to bring visitors to the upper floor. From there a splendid view opens across the Strela Sound and the new Rugen Bridge to Rugen Island. 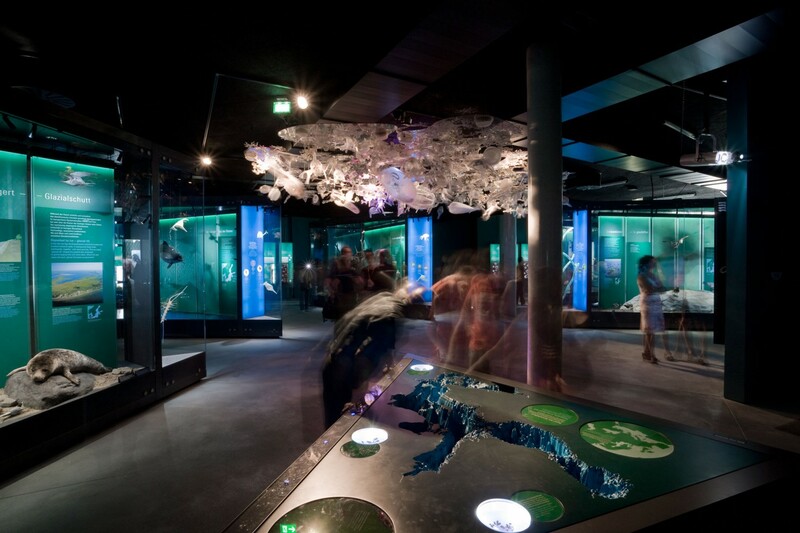 The design of each section of the OZEANEUM was essentially led by the building’s functional requirements. 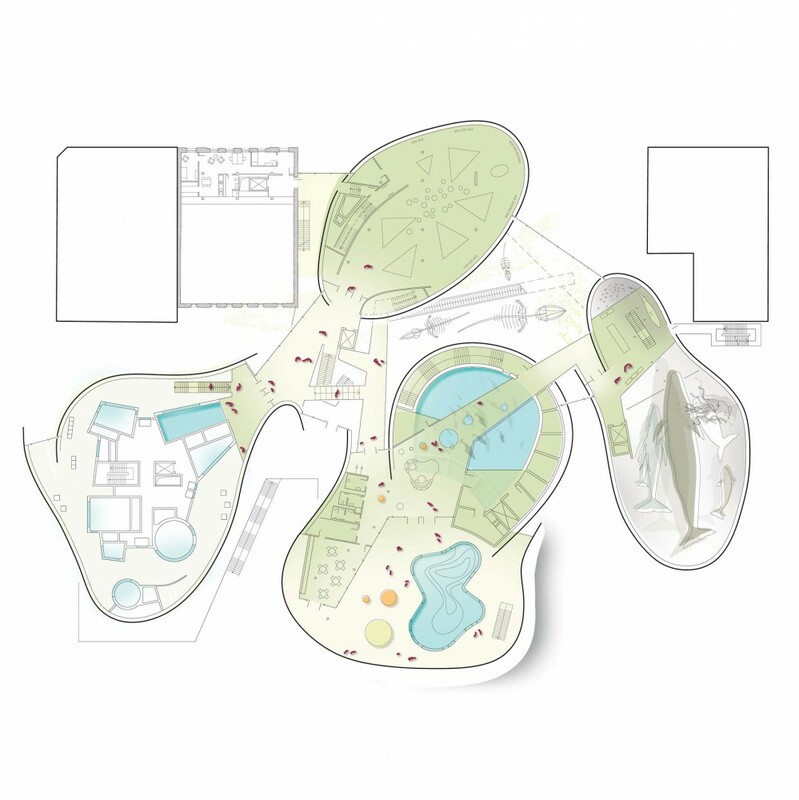 The aquaria are set around a central core of maintenance and technical amenities. Freely slung ribbons of steel, reminiscent of sails billowing in the wind, determine the shape of the respective ‚stones’. They draw together the various sections of the building and give them a strong, unified profile. 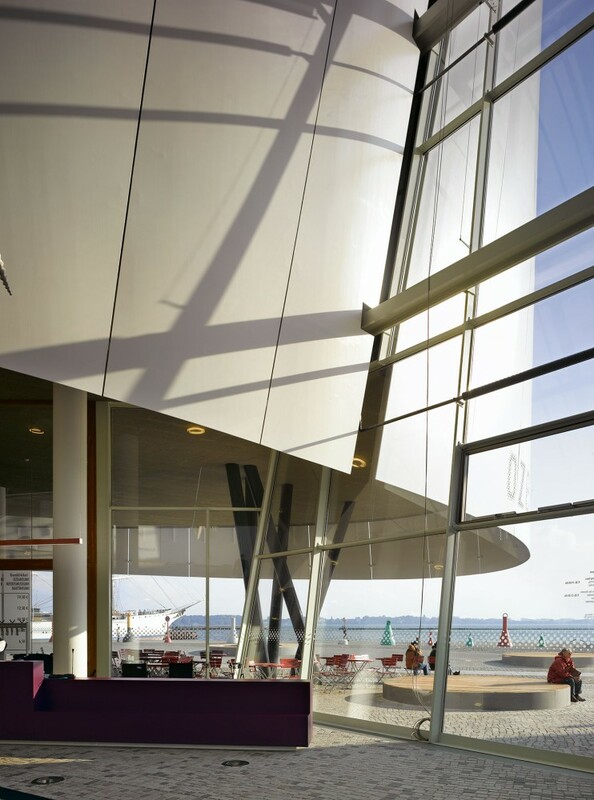 One of the three historic warehouses on the site has been incorporated in the OZEANEUM and accommodates the museum administration, a multi-purpose hall fort he museum’s educational projects, a self-contained, multi-purpose hall for public events and, on level 0, a gastronomic outlet. 17.400 qm / 187,294 sq.ft. 90.900 cbm / 3,209,679 cu.ft.